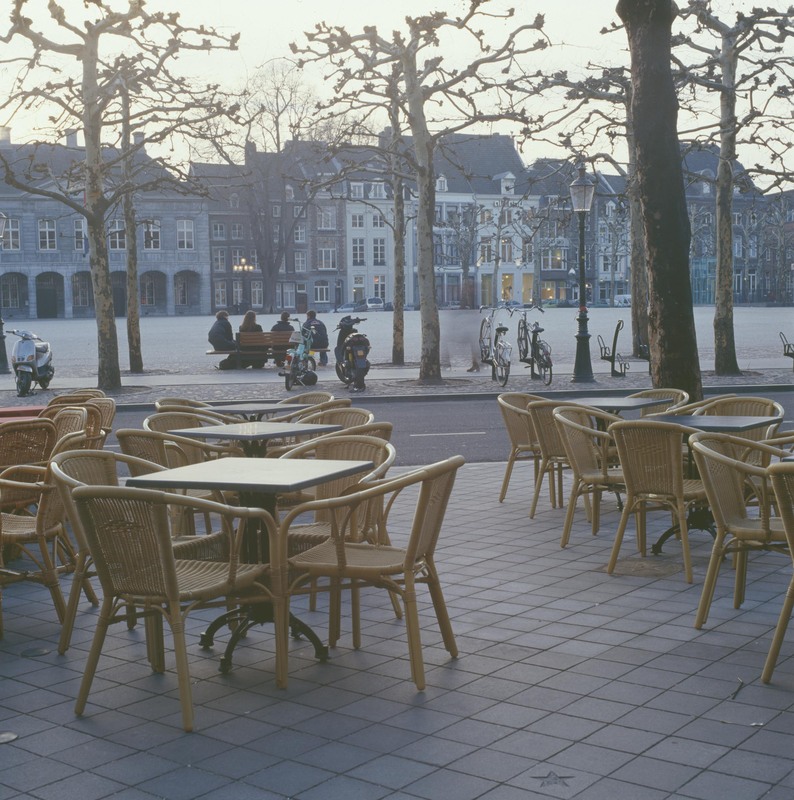 Beautiful public space can contribute to an economically strong city centre. 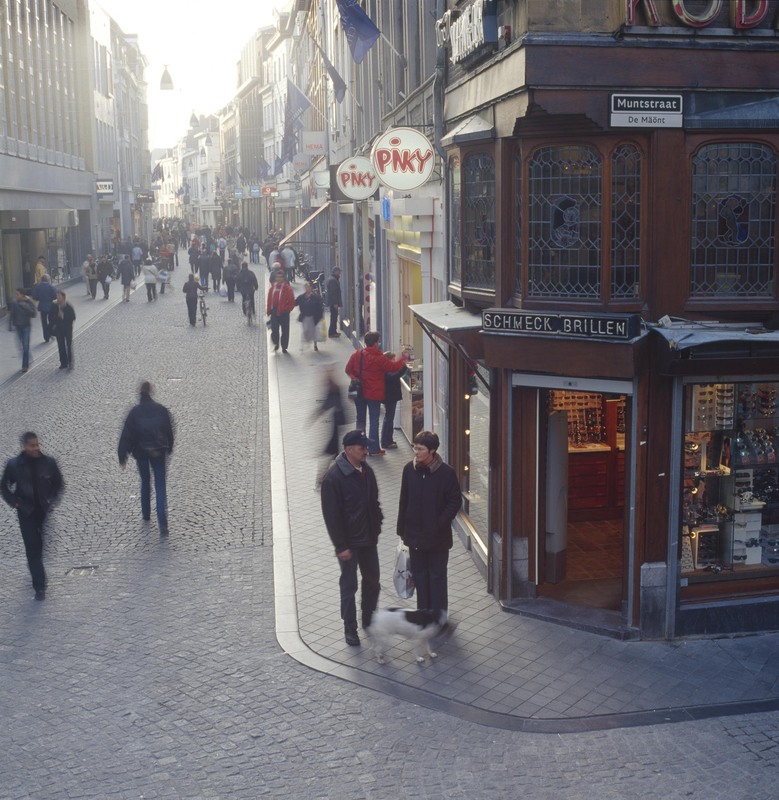 This case is proven with the city of Maastricht, whose most important shopping streets were renovated by Bureau B+B. 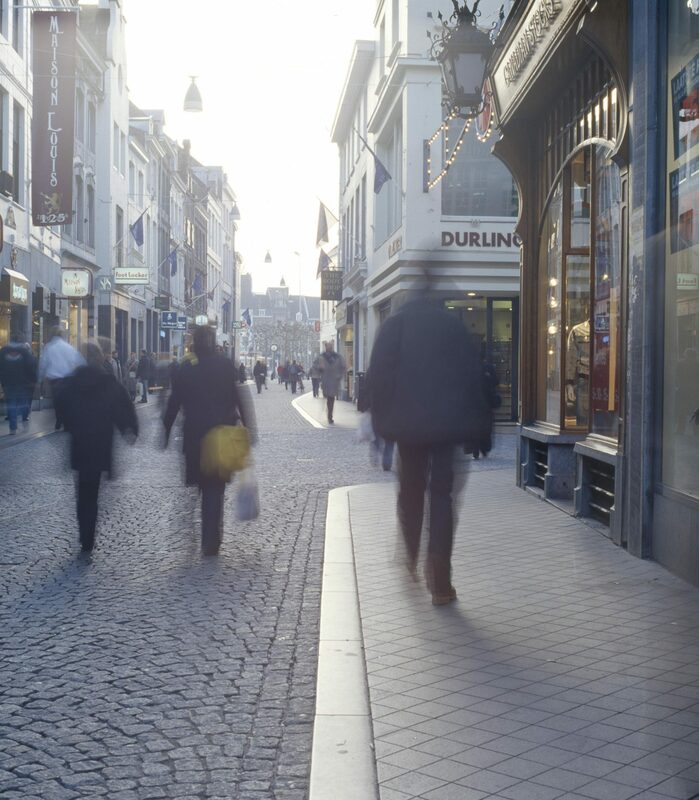 The Municipality of Maastricht, as well as numerous private parties, wanted to maintain and strengthen the city’s position as an international retail centre by means of a transformation of its central shopping district. 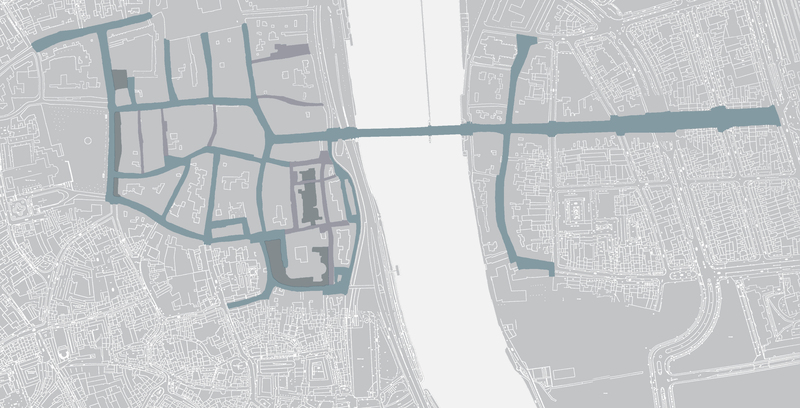 The city centre, located on both sides of the Maas River, is characterized by a mixture of residential and retail use. 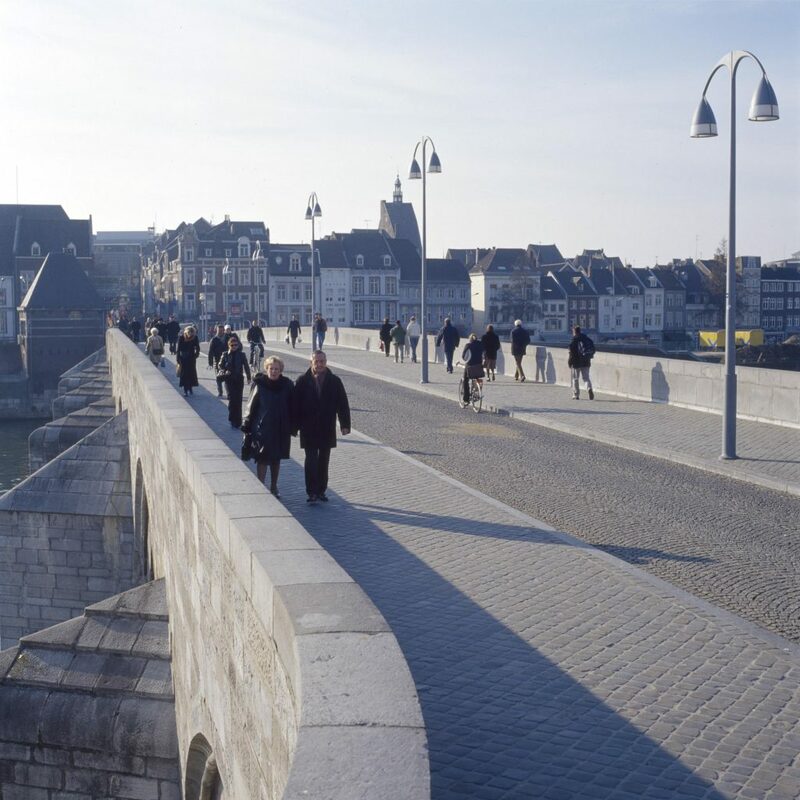 The actual plan of the city is virtually the same as it was in medieval times, a fact that, together with the magnificence of Maastricht’s historic architecture and typical mix of the residential and commercial, is essential to the city’s identity. In creating the design, B+B distinguished between shopping streets, residential streets and the central ‘axis’, all of which clearly have a ‘familial’ relationship, but are nevertheless different in terms of profile and ambiance. The original tripartition of the street profiles has been restored, with a zone with sidewalks on its rim and a runner in the middle. 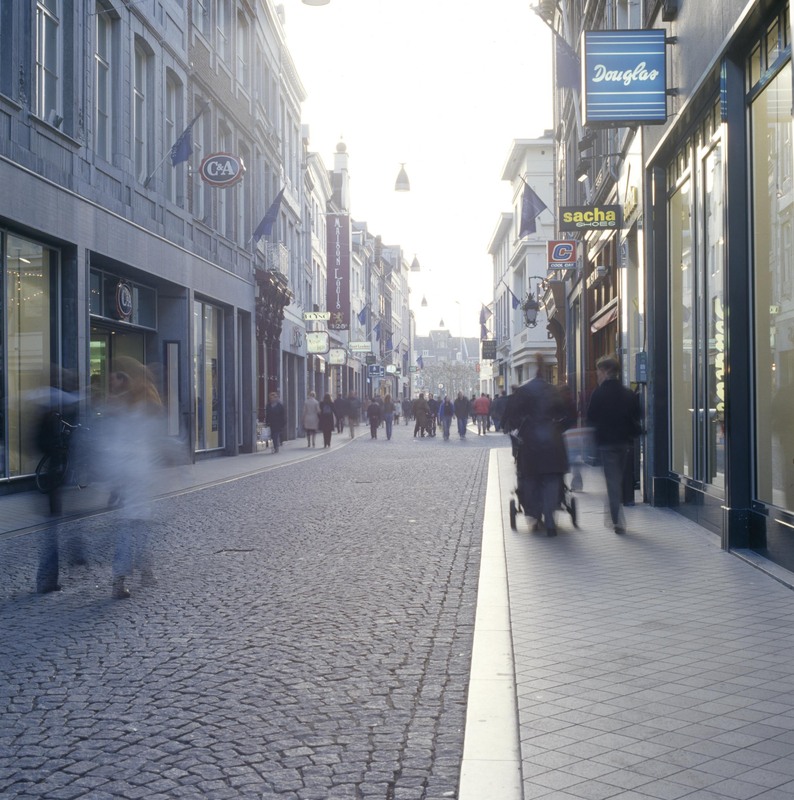 The lines produced by strips parallel to the façades emphasize the characteristic pattern of the streets. A reserved arrangement for the public space employing a grey palette of natural stone does optimum justice to the façades, while maintaining harmony with the materials traditionally used in the city. A minimum of street furniture has been used, and displays are not permitted. The existing suspended fittings for lighting were replaced with contemporary fittings providing improved light distribution and a soft, white light.